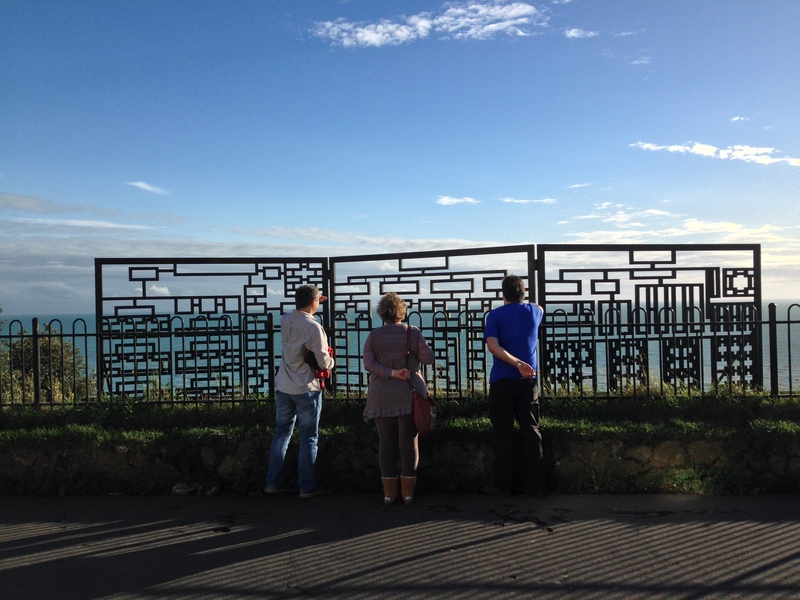 A week ago I was down in Folkestone to catch the last weekend of the Folkestone Triennial 2014. 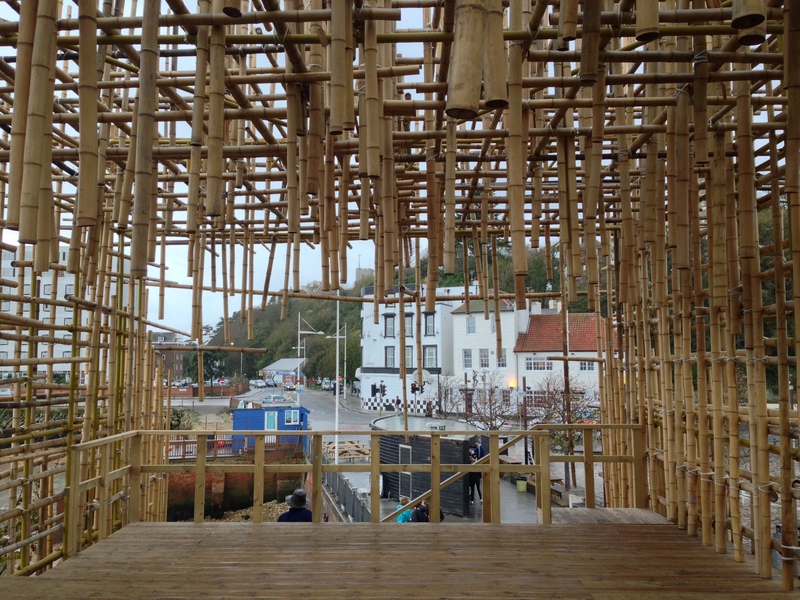 This was the third edition of the Folkestone Triennial. While it’s primarily promoted as a temporary public realm programme within a sculpture festival type framework this triennial is an interesting case study for my own research as it sites new temporary commissions alongside legacy works from previous Triennial years. Presenting this work under the banner of Folkestone Artworks it’s a rare UK example of public art engagement with the concept of ‘collection’. So far the Folkestone collection numbers sixteen permanent artworks maintained for the town from the two previous Triennial events (2008, 2011). Up to eight works are likely to be added to the collection from this year’s edition. I wonder which works will be chosen to stay in the town and on what basis this selection will be made? Practicalities, like material robustness and site ownership and probably contractual and planning issues too are likely to play a major part in this. How might this be balanced with the popularity of certain works with Triennial visitors and local audiences? 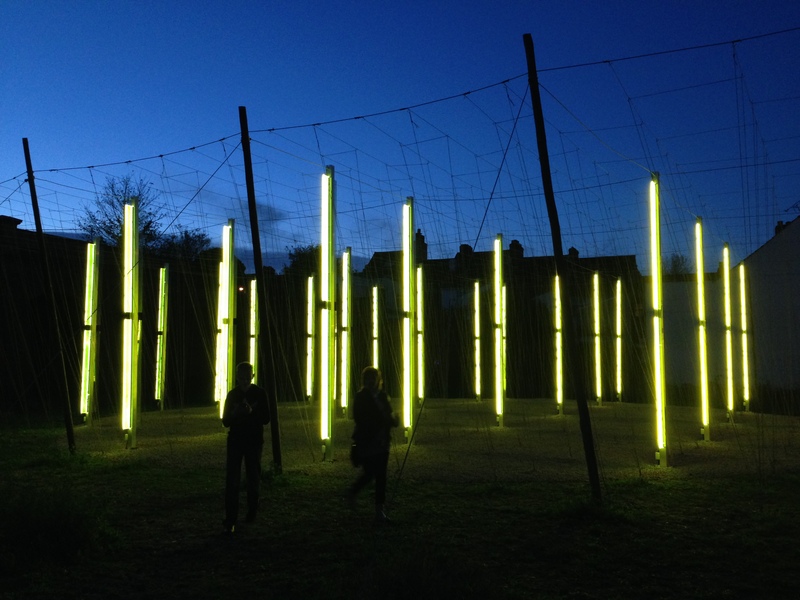 (Gabriel Lester’s The Electrified Line and Jyll Bradley’s Green/Light in particular seemed to be attracting lots of attention while I was there.) It was too early really to explore these issues on this visit but these are questions that I’d like to return to again early next year, hopefully in conversation with the curators at Folkestone Artworks/The Creative Foundation. 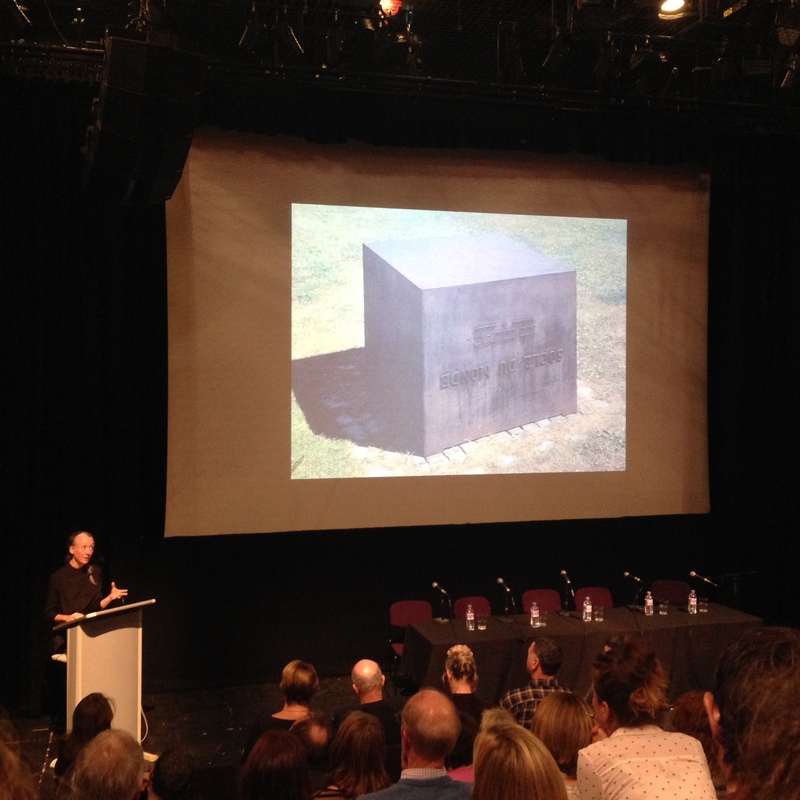 In the final part of the conference, we look at the experience of sculpture. How does the public confront works in the public realm? And what is the value of signposting ‘art’, or allowing for unexpected encounters? How much contextual information should one offer to the viewer and how might sculpture be seen as a starting point, or a reference, for a multi- layered response by a viewer – one that takes into account the frameworks discussed above, as well as personal experience? Sculpture is defined in terms of temporal and spatial ‘contingency’ and ‘social gathering’ as oppose to the distance and ‘flatness’ of the image. It’s important to recognize that sculptures sited in the public realm can be both an ‘attraction and a repellant’. Sculptures/artworks need to be active ‘generators’ i.e. producers of ‘something else’. It’s important to keep the story of the artwork ‘spinning’. Public space and public activity is now more ‘atomised’ and ‘polarised’ – this means we can no longer talk of ‘a public’. Instead we need to think in terms of a ‘fragmented multitude’. What do we do when sculptures/artworks fail? i.e. when they fail to ‘gather’ in this sense, when they remain ‘flat’. Public realm sculpture = something you ‘bump into’ either as a ‘surprise’ or as an object ‘that gets in the way’. May be a ‘distracting’ or ‘disturbing’ thing’, friendly or unfriendly, but also a ‘non-thing’ for some people. What do people do with things that they don’t want to see? Objects look back at us: they are ‘doing something to you’ or ‘demanding something of you’. NOTE: Although developed over a much shorter timescale Folkestone Artworks approach is similar to the model pioneered by Sculpture Projects Münster in Germany. The fifth edition of Sculpture Projects Münster is due to take place in 2017.